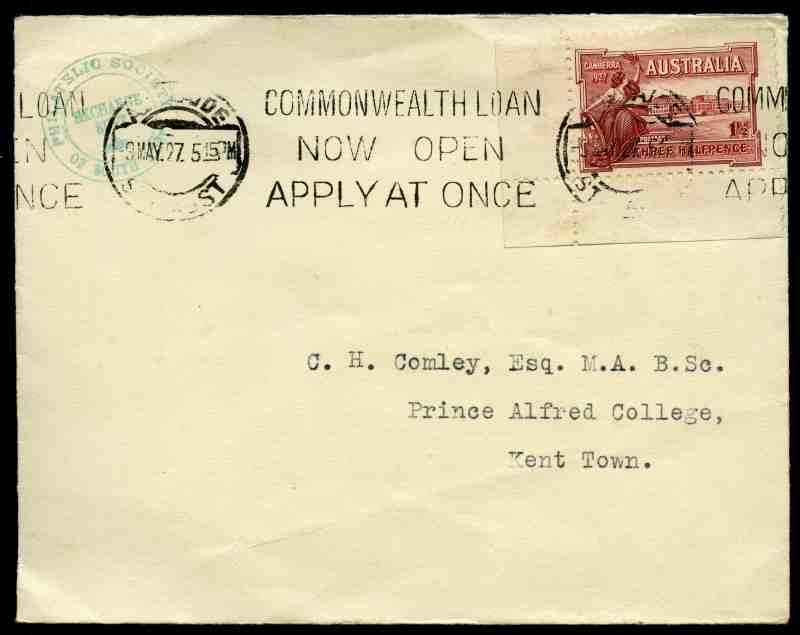 1927 1½d Canberra on cover, cancelled on FDI by Commonwealth Loan slogan cancellation, with Philatelic Society of South Australia Exchange Supt cachet in Green, at upper left. 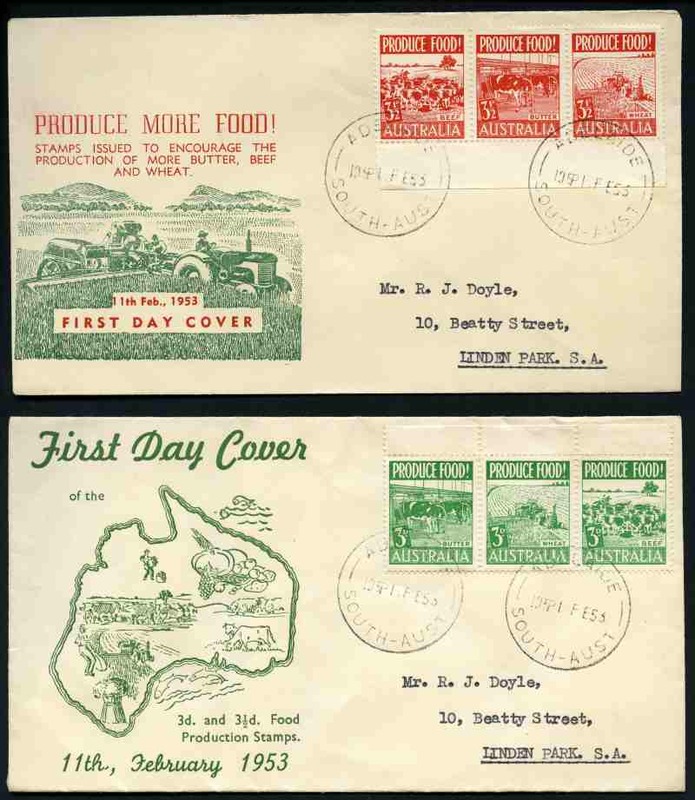 Selection of 484 Pre-Decimal and Decimal addressed illustrated FDCs from 1937 to 1977 including 1937 NSW Sesquicentenary set, 1940 AIF set, 1959-64 Flower set, 1959-62 Animal set, 1961 5/- Cream Paper Cattle (2), 1964 7/6 and £2 Navigator, 1964-65 Bird set of 7 (2) and 1966 Definitive set of 24. Some Pre-Decimal covers unaddressed. Odd fault and minor blemishes, but mainly fine. 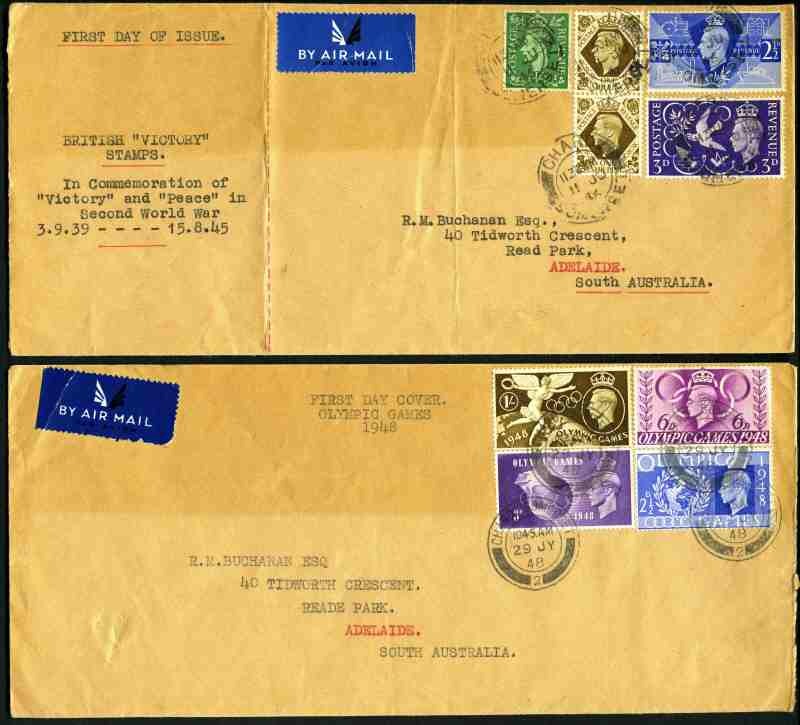 Selection of 390 Pre-Decimal and Decimal addressed illustrated FDCs from 1948 to 1974, mostly represented by 2 of each issue including 1953 Tasmania Sesqui set, AAT 1957-61 Pre-Decimal set of 7, 1959-64 Flower set, 1959-62 Animal set, 1961 5/- Cream Paper Cattle, 1962 Perth Games set, 1963 Royal Visit set, 1963 2/3 Cable, 1964 Airmail set, 1964-65 Bird set of 7 and 1965 Anzac set. 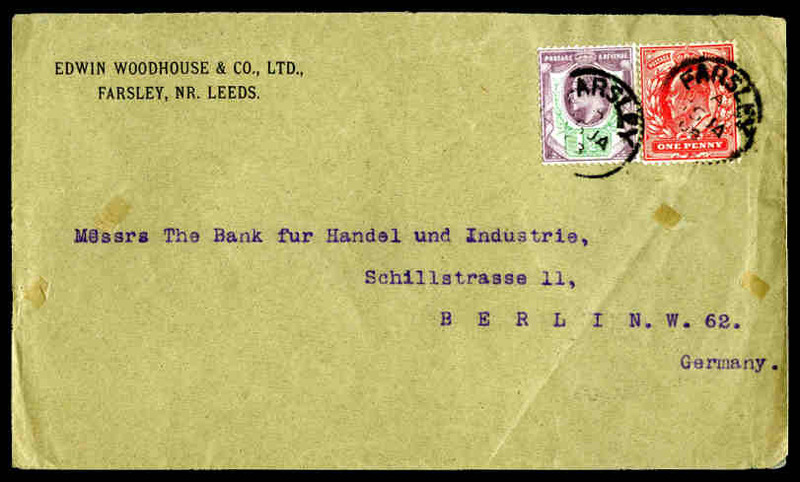 Mainly typed addressed WCS covers including few souvenir covers. Odd minor blemish, but mainly fine. Small selection of illustrated, mostly addressed FDCs from 1953 to 1988, with some handy items including 1953 Food strip set, 1961 5/- Cream paper Cattle, 1968 Soil and Medical Thick lines gutter pair with special postmark, 1970 30¢ Cook on Post Office logo cover and more. Accumulation of 755 Decimal FDCs from 1966 to 2007, including few better early issues and some duplication. Main strength in earlier period with many addressed WCS or Royal covers. Odd minor blemish. Largely complete collection of 66 official unaddressed FDCs from 1970 Expo set to 1974 7¢ Newspaper, including all cover types. Excludes 1970 30¢ Cook small cover only. High retail value. Accumulation of hundreds of official unaddressed FDCs from 1971 to 1988, plus PSE's cancelled FDI from 1978 to 1987. 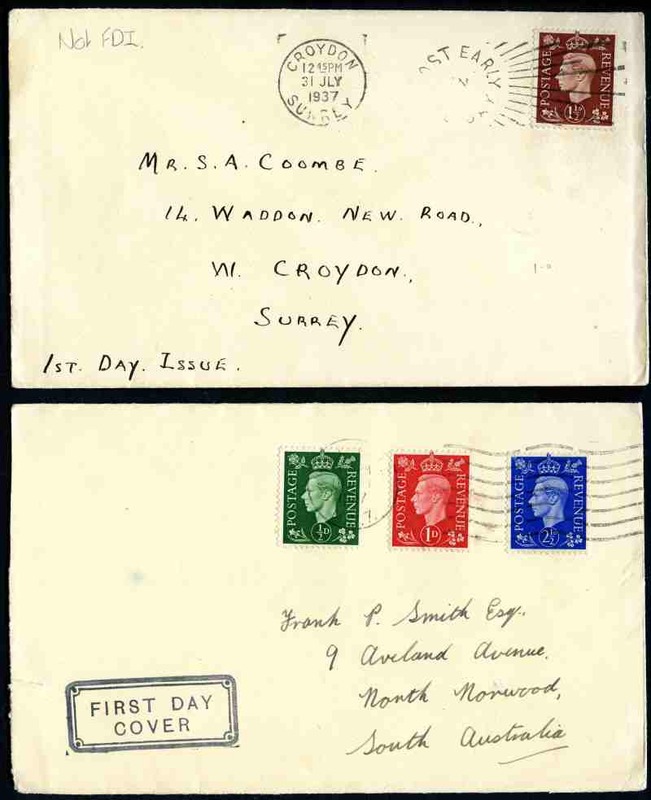 Small range of early WCS addressed covers and some special postmarks. Varying duplication and odd minor blemish. Accumulation of official unaddressed FDCs from 1974 to 1994, including many duplicates, plus 345 PSE's cancelled FDI. Face Value $950.00. Accumulation of official unaddressed FDCs from 1974 to 2003, including some Australian Antarctic Territory, plus 211 Aerogrammes and 771 PSE's mixed mint and cancelled FDI. 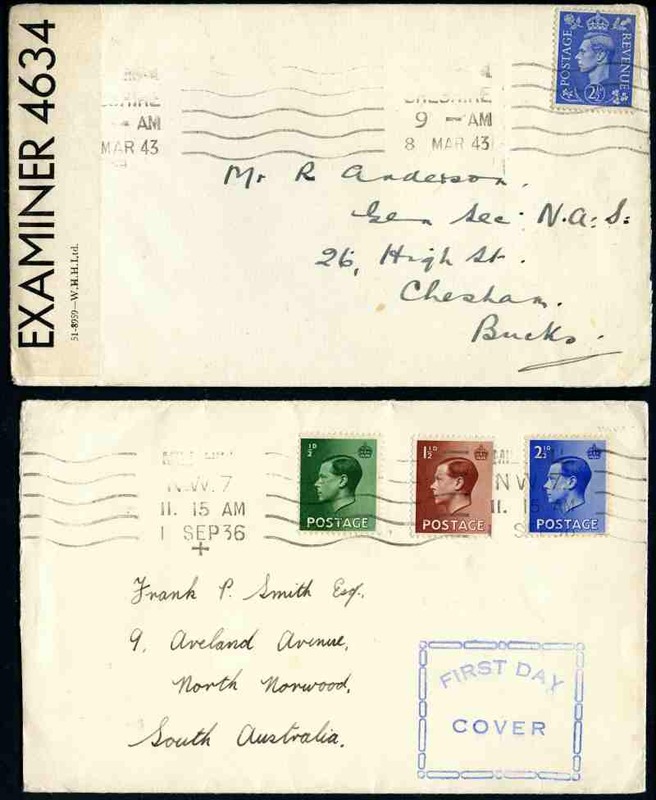 Some souvenir covers with special postmarks. Face Value $2,077.00. 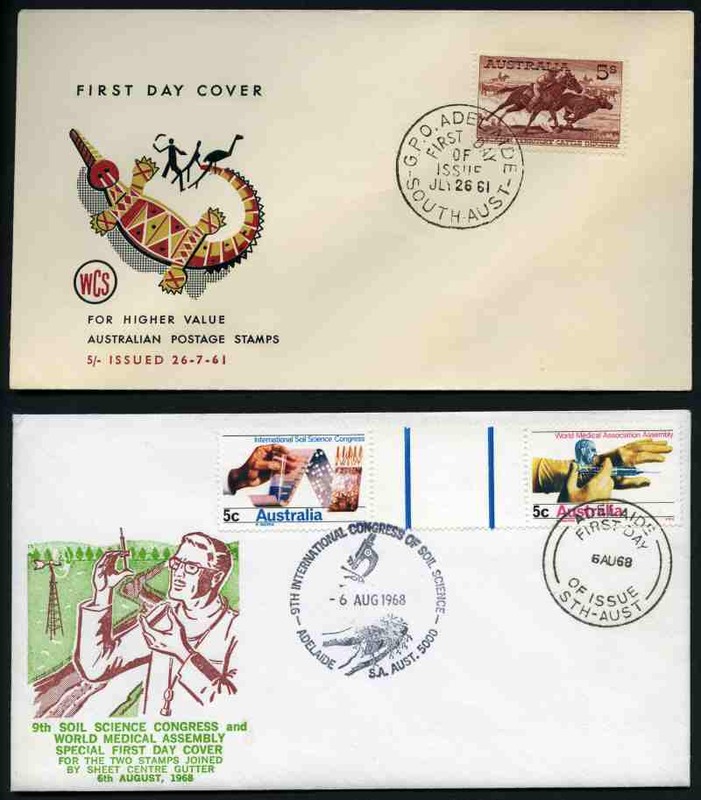 Collection of official unaddressed FDCs from 1974 to 2004, including some Joint Issues and a small range of Australian Antarctic Territory, Christmas Island and Cocos (Keeling) Island Australian issues. Some duplication. Face Value $1,307.75. 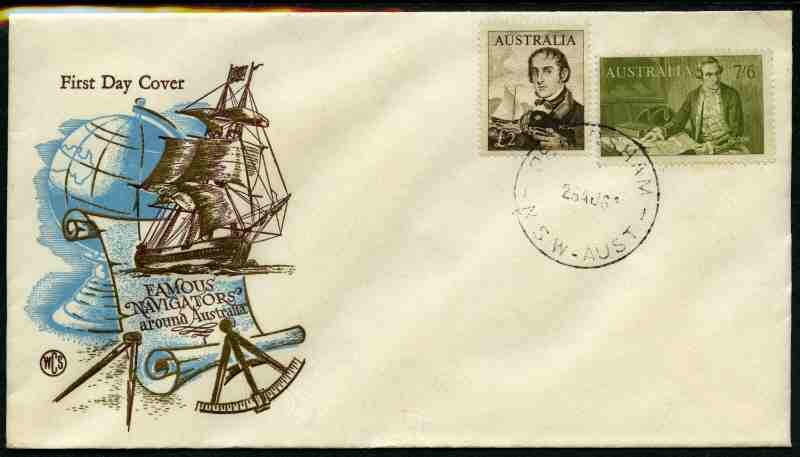 Collection of official unaddressed FDCs from 1974 to 2004, including some Joint Issues and Australian Antarctic Territory, plus range of Pre-Stamped Envelopes, Maximum Cards and few Aerogrammes. Some duplication. Face Value $1,125.00. Collection of official unaddressed FDCs from 1974 to 1998 including Joint Issues and a few souvenir covers, plus 428 cancelled FDI PSE's from 1979 to 1992. Face Value $1,506.00. 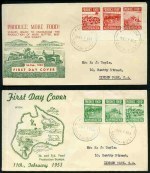 Collection of official unaddressed FDCs from 1975 to 2003, including Joint Issues, Australian Antarctic Territory, Christmas Island Australia and Cocos (Keeling) Island Australia, plus range of mint PSE's. Face Value $1,281.00. Accumulation of official unaddressed FDCs from 1977 to 1996, most issues represented by a single, pair and block of 4, plus 330 mint and 246 cancelled FDI PSE's. Face Value $3,288.45. 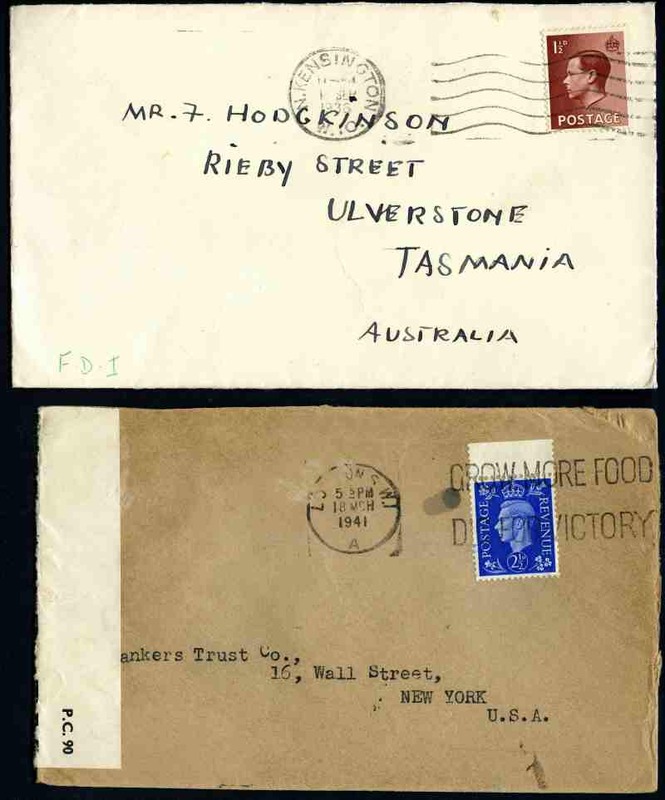 Largely complete collection of official unaddressed FDCs from 1977 to 1992, including Australian Antarctic Territory and range of covers with special and commemorative postmarks, plus 210 PSE's cancelled FDI and 197 Maximum cards. Face Value $685.00. Accumulation of official unaddressed FDCs from 1974 to 2002, including some joint issues and many duplicates. Face Value $2,324.00. Collection of official unaddressed FDCs from 1980 22¢ QEII Birthday to 1993 Threatened Species set and from 2000 Face of Australia set to 2007 Christmas set, including Joint Issues, Australian Antarctic Territory, Christmas Island Australia and Cocos (Keeling) Island Australia. Face Value $1,087.90. 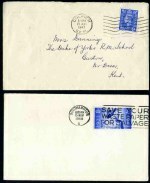 Accumulation official unaddressed FDCs from 1978 to 1989, including a few special postmarks and joint issues. Catalogue Value $1,002.00. 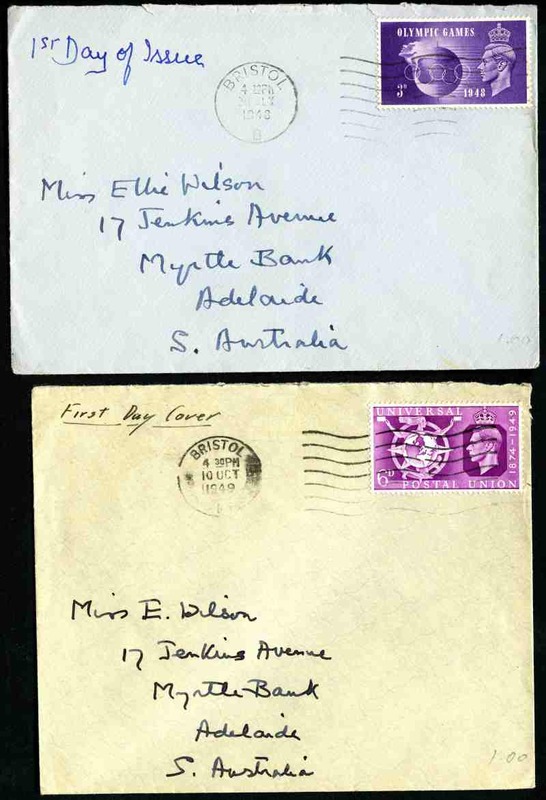 Collection of official unaddressed FDCs from 1975 to 1997, including Australian Antarctic Territory, Christmas Island Australia and Cocos (Keeling) Island Australia issues, with some light duplication. Face Value $976.00. Accumulation of official unaddressed FDCs from 1992 to 2006, including Joint Issues, Australian Antarctic Territory, Christmas Island Australia and Cocos (Keeling) Island Australia. Face Value $1,080.00. Collection of official unaddressed FDCs from 1984 to 1999, including a few souvenir covers and Maximum cards. Few early covers with light tone spots. Face Value NZ$934.00. 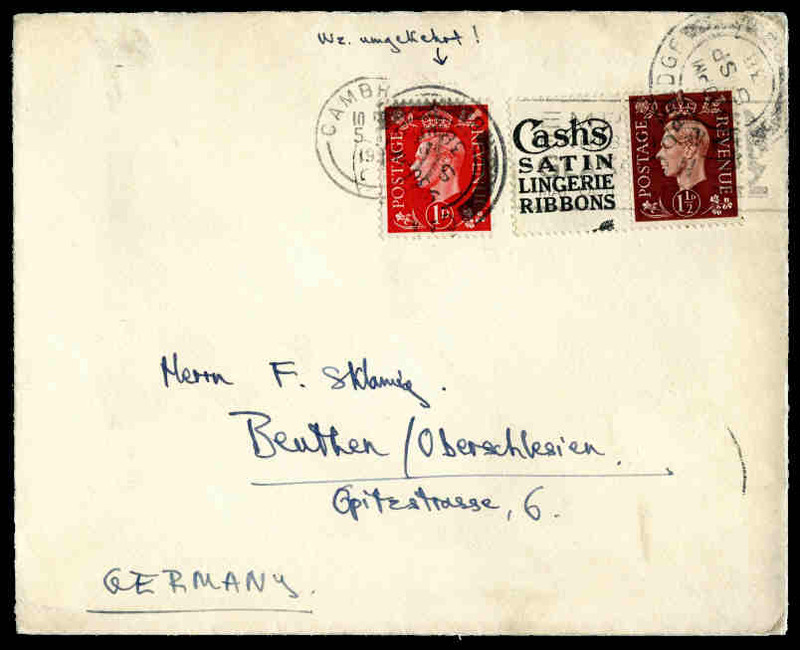 Selection of 27 mostly plain covers and First Day covers from 1937 to 1951 including 1937 ½d, 1½d and 2½d KGVI, 1948 Olympic Games set, 1951 Festival of Britain set (2) FDCs and 6 censored covers, plus 1908 cover franked with 1d and 1½d KEVII. 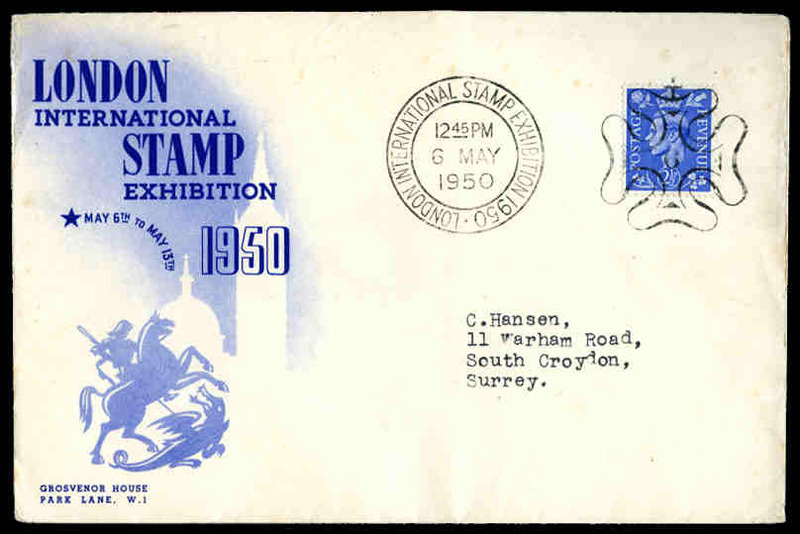 Selection of 193 mainly neatly addressed illustrated FDCs from 1971 to 1993, including 1972 Wedgewood Booklet Pane, the ½d Blue Machin Head with 1 side band and full perfs, High Value Definitives and Regional issues, plus 64 Postal Stationary items. 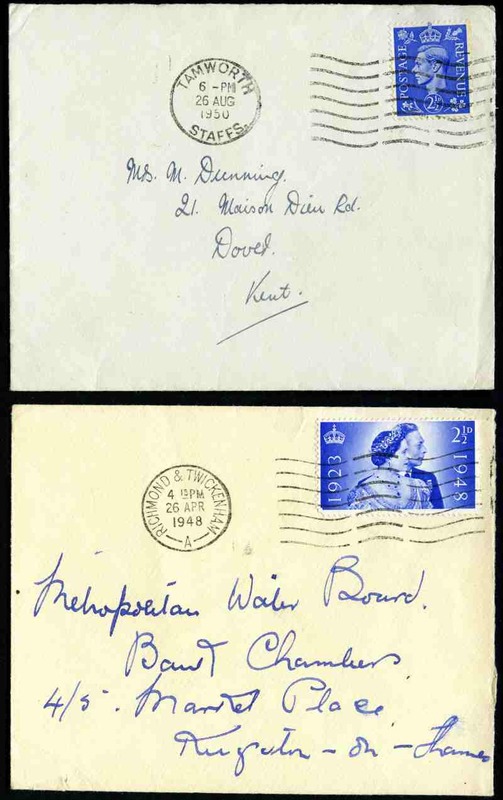 Also small range of 1d Red Queen Victoria covers, Pre-Decimal First Day and souvenir covers and bundle of modern commercial covers. 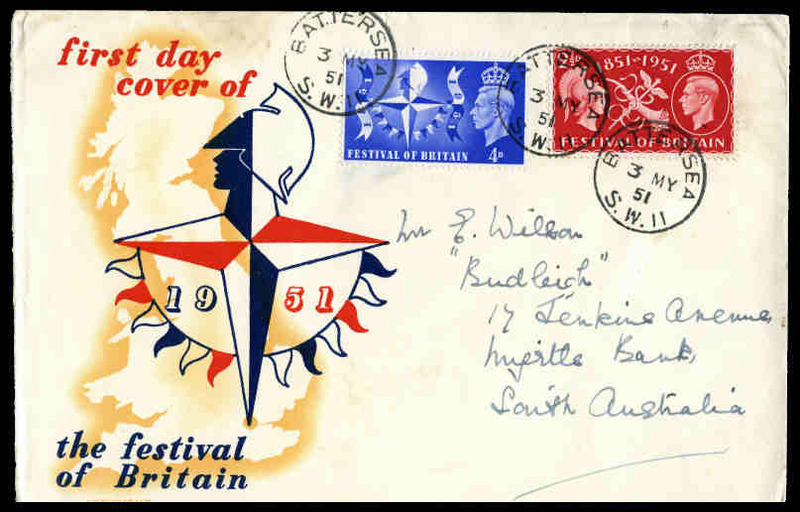 Collection of official addressed FDCs from 1972 to 1999, including some Regional and Channel Island issues, plus range of souvenir covers with special postmarks. Majority typed addressed and some duplication. Few with minor blemishes. Face Value £356.00. Collection of official FDCs from 1979 to 1992, mostly with neat typewritten addresses, plus a few Pre-Decimal FDC's. Face Value £157.00. 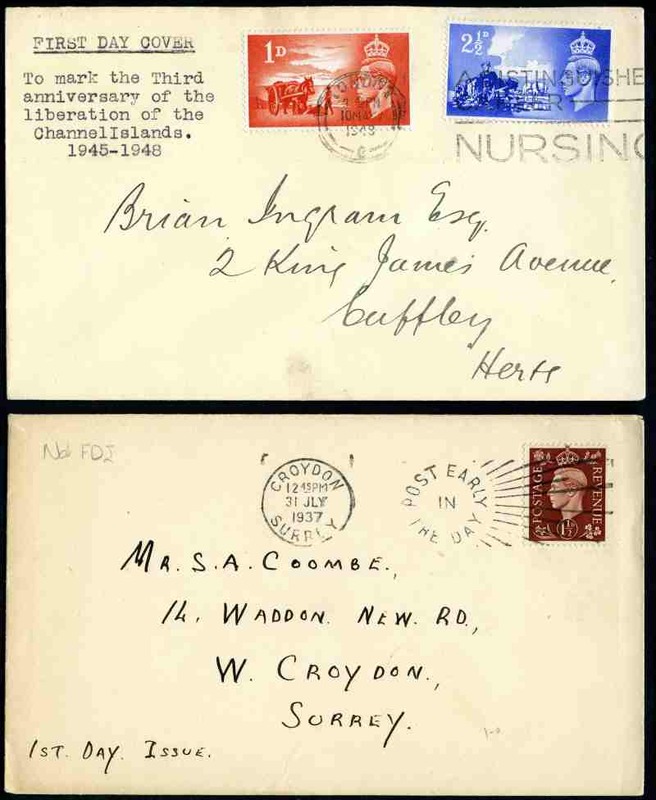 Collection of 1,584 illustrated FDCs from 1935 to 1992, all official unaddressed covers from 1976 onwards. Light duplication. Some minor faults and toning blemishes. Largely complete collection of 122 official unaddressed FDCs from 1981 World Energy Conferences set to 1998 Medicinal Plants set. 1972 Silver Wedding, 1977 Silver Jubilee, 1978 Coronation and 1981 Royal Wedding collection of 162 official unaddressed FDCs. 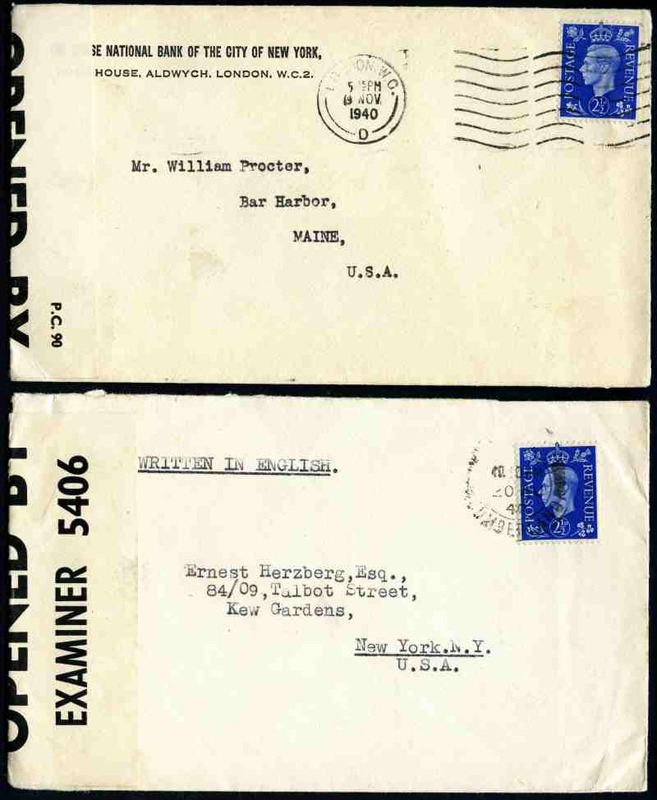 Also selection of 33 official unaddressed FDCs, comprising mainly Hong Kong, Falkland Islands and South Georgia from 1974 to 2005. 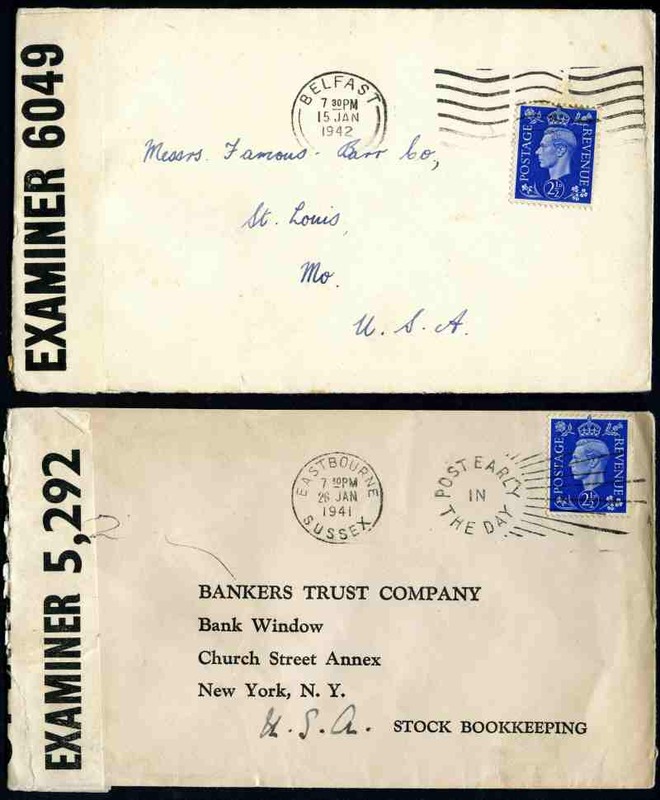 Accumulation of 1,238 illustrated unaddressed FDCs from 1960 to 2012, with a range of countries represented, the main strength in U.S.A. and United Nations, including some postal stationary items. Many Fleetwood brand covers. Very high cost price.